“Life in England” is our first book. It’s full of short stories drawn directly from real life incidents, so it gives Italian speakers a natural introduction to useful vocabulary. You’ll enjoy the range of situations covered in the stories. This instantly downloadable ebook and audio track have been designed to make learning English easy and fun, and the included mobile app allows you to keep Easilang by your side wherever you may travel. 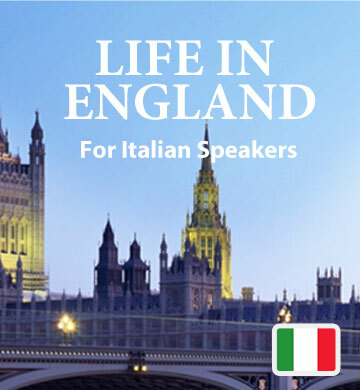 Whether you’re thinking of moving to an English-speaking country, or just interested in the language for a short visit, spending time with this book will give you confidence.